With Tesco all set to take advantage of India's latest liberalisation, I must share with readers an anecdote that my very old friend, Geoffrey Goodman, recounts in his memoirs, From Bevan to Blair. Since Geoff is a seasoned journalist whose socialist commitment has earned him some juicy plums from successive Labour governments, he must have been a very uneasy man indeed on June 17, 1970 -- polling night in Britain -- when Harold Wilson's majority of nearly 100 turned into a Conservative majority of 30 and made Ted Heath prime minister. Not everyone who guzzled smoked salmon, glazed turkey and champagne at the Daily Mirror's traditional election night party was as dismayed. "Jack Cohen, then unchallenged boss of Tesco -- 'pile 'em high, sell 'em cheap' -- was elated," Geoff writes. "'I want the Tories to win,' he grinned at me. 'That'll stop all those people I employ robbing me . . . robbing me, that's what they do, d'yer know that? They rob me . . . ' I never did quite get the point but I suppose he meant that his employees actually wanted to be paid for the pleasure of working for him." Geoff reflects, "Great character, Jack Cohen of Tesco, like his daughter. But I never understood why (Hugh) Cudlipp (later Lord Cudlipp, boss of International Publishing Corporation which published the Mirror invited him to the party that night." The answer to the last is simple. As a man of the world with many irons in the fire, Cudlipp cast his net wide. If the Tories were going to ride back to power, he would be in with them too. He had become International Publishing Corporation chief in a coup that ousted the previous head, Cecil Harmsworth King, England's Citizen Kane, who had negotiated with K M Munshi to launch an English daily in Bombay and then tried to buy The Statesman in Calcutta. I should imagine commerce came before politics for an East London Jew who started out when he was just 21 with a stall in the Well Street Market in Hackney. One stall multiplied into many stalls. Tesco was born in 1924 when Cohen bought T E Stockwell, tea merchant, and tagged the first two letters (co) of his surname to the initials (Tes) of his latest acquisition. 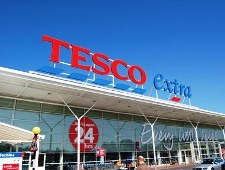 From those humble beginnings, Tesco has become the world's third-largest supermarket (second in terms of profits) with operations in 14 countries. I can understand Geoff finding him a "great character". But I am intrigued by the inclusion of Cohen's daughter in that compliment. For Dame Shirley Porter, a dyed-in-the-wool Tory, seems to have been involved in some pretty unsavoury property scandals when heading Westminster City Council. I remember reading in The Spectator that she was "the high priestess of Tory sleaze" while an article in The Guardian called her "the most corrupt British public figure in living memory, with the possible exception of Robert Maxwell". Now, the people who work in Tesco, the people Cohen thought were robbing him, the people Geoff felt Cohen thought should work for free, are a different kettle of fish altogether. One of South London's biggest Tesco stores is just round the corner from us, and we can't help but see a fair amount of its employees. Assistants at the two nearby supermarkets, Waitrose and Sainsbury, both possibly a shade more upmarket, can't compare with Tesco's men and women for courtesy and helpfulness. Take Nikunj, a young Gujarati lad with a red tilak on his forehead but the voice and accent of a Londoner, who heads the electrical department and is Nick to his mates. When we bought a small TV, Nikunj carried it all the way to the door and apologised for not being able to see us home. Tesco's Bangladeshi employees are especially alert and intelligent. One warned me that salmon was being so extensively farmed that cod, with depleting North Sea supplies, would soon be the most expensive fish on the market. Another had an ingenious explanation for assuming I come from Calcutta. "You looked up when I spoke in Bengali to my colleague, so I knew you were Bengali. Since you are buying fresh food, you live nearby and this is an expensive area. So you can't be Bangladeshi." Then he added, "I heard you talking to your wife in English. Bangladeshis of your generation can't do that. It will happen, but not yet." Some of Tesco's Bangladeshi workers are part-time students. This young man is already a social anthropologist.